DCP, in collaboration with Manhattan Community Board 4, proposed the expansion as part of an ongoing process to reinforce the residential character and quality-of-life in West Chelsea. DCP’s study on West Chelsea expansion found that hotels near the expansion area had more than doubled since 2005, and residents were concerned about the impact of the hotels – and of the hotel bars – on West Chelsea’s residential quality-of-life. Existing district zoning restrictions would cap new construction in the expansion area at 135 feet, prohibiting future high-rise hotels such as a proposed 25-story building at 412 West 15th Street. During the review session, the Commission asked about community sensitivity to hotel use in the district and whether hotels would be allowed after the expansion. The DCP representative confirmed hotels would continue to be permitted in the district, but the proposals that have come in for locations in the expansion area have been largely for office space, and not hotels. The Commission certified DCP’s application to move forward. The proposal will now go before Community Board 4 for further consideration. Should this application be fully approved, this would be the second time the special district was expanded since 2005. Chelsea Market was incorporated into the special district in 2012 (see previous CityLand coverage here). 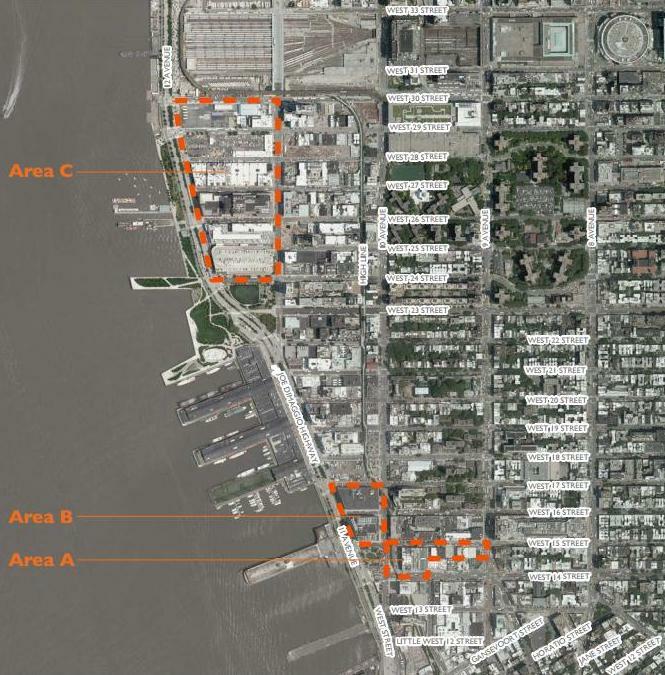 CPC: West 15th Street / Special West Chelsea District Expansion (150101-ZMM, 150102-ZRM) (Sep. 2, 2014).